Welcome to Day 16 of our 21 Day Yoga Challenge. Today, we’ll consider the benefits of yoga for healthy joints. 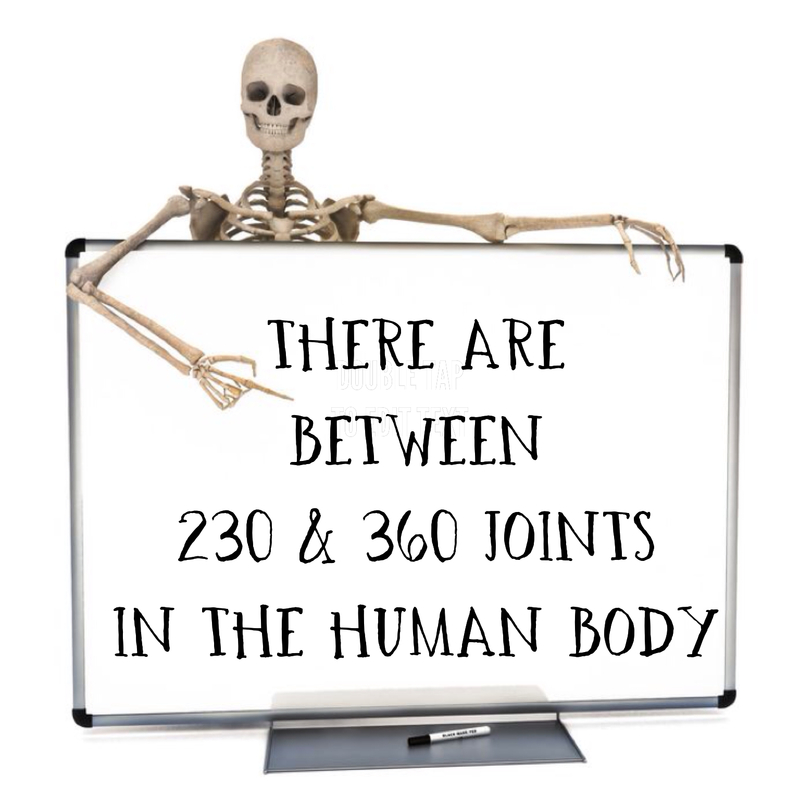 There are approximately 230 to 360 joints in the human body. You ask: “Well is it 230 or is it closer to 360?”. Me: Good question. It depends on how you classify a joint. If you do the research like I did, you’ll find there is no definitive answer. For example, some references include the approximately 86 joints in the skull as part of the classification. Others don’t. And by the way, babies are born with many more joints, some of which eventually fuse together as the baby develops. Me: Thanks for asking! Yoga is a fabulous practice to maintain healthy joints. Yoga can help to reduce joint pain and stiffness. It improves joint flexibility and function. It circulates the synovial fluid inside the joints. Me: Well, that’s actually a medical myth. To maintain healthy joints, one needs to provide mindful stress upon the joints. If you never had any stress on the joints, you’d probably be lying flat on your back all the time – and that’s not good! The key is to have movement in the body that is safe and unforced. This helps the healing process by circulating blood to the surrounding ligaments, tendons and muscles. You create a moderate challenge for the joints, but never, ever cause pain. Most of us think of doing more is well…more. But pain is an important tool to monitor when you need to back off. If you don’t back off, you can cause more inflammation around the joints and potentially create damage to the ligaments, tendons and/or muscles. Yoga that is practiced mindfully, consciously can lead to healthy joints and a healthy life. Awesome information, Suzanne. I enjoyed the presentation — so creative and humorous! “synovial fluid” This really helps me with a motivating visualization. Must keep the synovial fluid flowing! I like the nuts and bolts (so to speak) information.